A show for the whole famiflea! A flea circus is a fun experience for all. You may have seen magic shows and even if you hate them you will want to see performing fleas. The Greatest Little Show on Earth presents the smallest performers on Earth who will demonstrate their incredible Circus skills for your enjoyment. 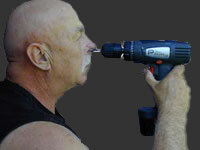 See the Strongman Flea Hercufleas, Fleavil Knieval shot from a cannon, Freddy Flea on the high dive and much more. 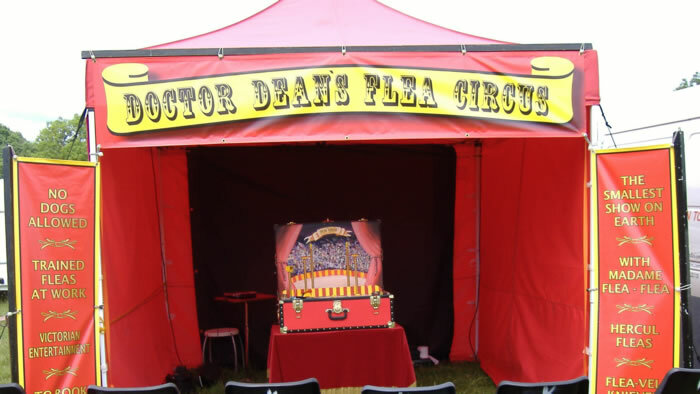 What is a flea Circus? 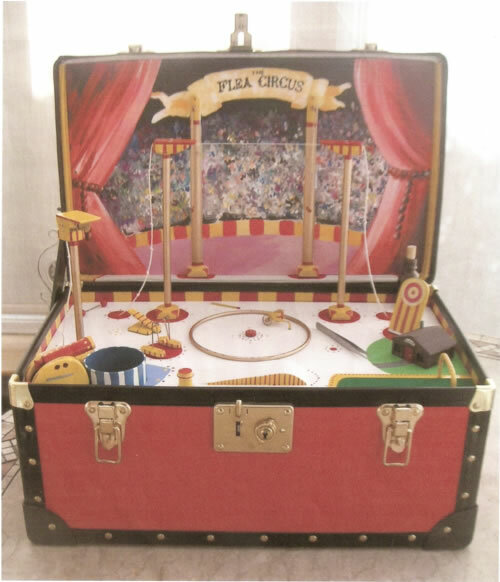 A Flea Circus is an old fashioned show that children of all ages watch with some participation. Not a riotous free-for-all like many clown acts, however this is hugely entertaining for children and adults alike. No harm comes to any of the performers and so far, no fleas have been left behind at venues. These special fleas are 100% safe and its impossible for them to escape. There are very few Flea Circuses showing these days, so book an original Victorian entertainment, presented tongue in cheek to bemuse and amuse all. The show typically lasts 20 minutes and involves audience participation. This can be used anywhere with twelve foot of space. Up to 3 performances a day - please contact us for details. We can neither confirm or deny the presence of real fleas, but the show is enjoyed by all and no one in a flea collar will be permitted as it upsets the performers.